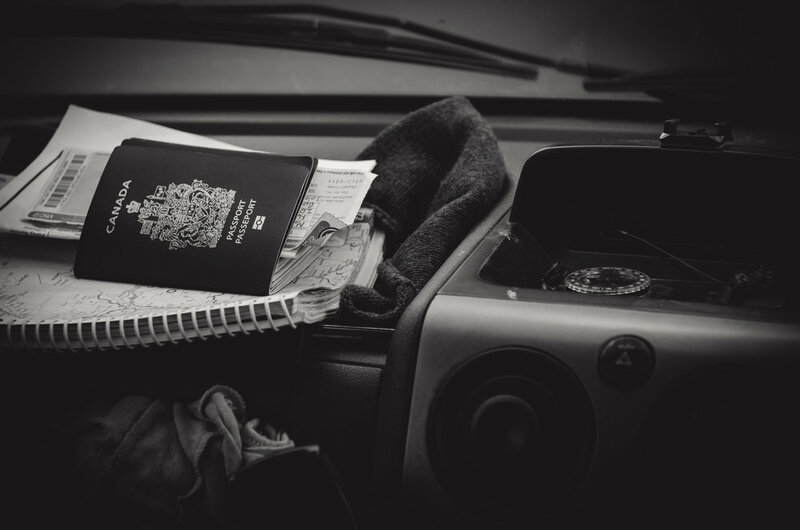 A behind the scenes look at our adventure from London to Ulanbaatar for the Mongolia Charity Rally and don't forget to check out our video. Our passports were probably one of the most valuable things to us on this trip. Crossing through 23 countries is no easy endeavour. I’m proud to say I filled the entire thing before I got back to Canada. What do you do the day after you break your foot while skateboarding in Bosnia? Go white water rafting of course! Breakdowns were more common then we would have liked. But it’s not really an adventure until something goes wrong. Having landed in Turkmenistan after a three day boat ride across the Caspian Sea and dealt with a bureaucratic nightmare until 4am, we ended up pulling over and sleeping on a tarp beside the road with a few other rally teams. Turkmenistan was a rough country and having met up and convoyed with four other rally teams was a blessing. A few local Mongolians came to check out what the heck three white guys are doing in a small van in the middle of nowhere. Cooking meals was not always ideal and I can say I lost a far amount of weight by the time we reached the finish line. A teenage Mongolian boy stops by our evening camp on horseback. Tyler and I decided to hike out into the Mongolian desert and say hello to these guys. Desperate times lead to desperate measures… and this was one of them. Reaching the finish line in Ulaanbaatar, Mongolia was such a feeling of accomplishment, having driven 18,000+ km, across through 23 countries, all in two months. While in Ulaanbaatar, we stopped by one of GoHelps charity projects where they had built a public library for the kids.